Tahhhhh! What is this? 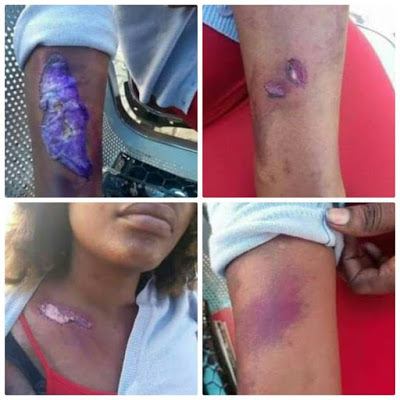 A young lady has accused a BUS DRIVER for allegedly assaulting her after she refused to date him. According to the news, the driver asked her out, but she said no, and he said he wasn’t ready to take a no for an answer, and assaulted her! The young lady has now notified the Due Process Advocates (DPA) who promised to take up the matter. Above and below are photos from the alleged assault. Below is also what was shared online. Since when has it become by force?? ?he should b found and jailed.